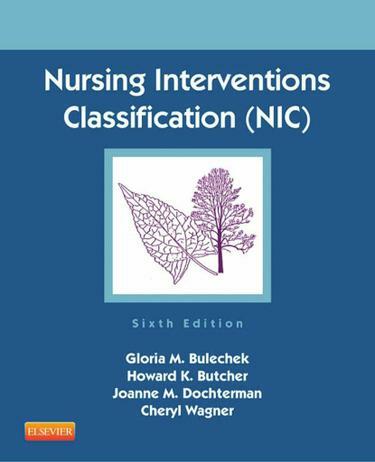 More than 550 research-based nursing intervention labels with nearly 13,000 specific activitiesDefinition, list of activities, publication facts line, and background readings provided for each intervention.NIC Interventions Linked to 2012-2014 NANDA-I Diagnoses promotes clinical decision-making. New! Two-color design provides easy readability.554 research-based nursing intervention labels with nearly 13,000 specific activities.NEW! 23 additional interventions include: Central Venous Access Device Management, Commendation, Healing Touch, Dementia Management: Wandering, Life Skills Enhancement, Diet Staging: Weight Loss Surgery, Stem Cell Infusion and many more. NEW! 133 revised interventions are provided for 49 specialties, including five new specialty core interventions.NEW! Updated list of estimated time and educational level has been expanded to cover every intervention included in the text.